What are your roles with The Cuyahoga Group? Aaron: I work out of the North Ridgeville branch as a route driver. I’ve also held the position of a route jumper. Tanya: I work at the North Ridgeville branch, in the money room. Prior to that, I worked in the Market Division for two years. How long have you both worked for the company? Aaron: I started in 2005, so fourteen years. Tanya: I started in 2016 when I decided to go back to work full-time. Aaron: I enjoy not being confined to one area and being able to meet different people every day. Tanya: When I worked for Markets, I enjoyed working with different people at the Market accounts we have. Although now I stay inside at the branch office, I’m grateful to be staying warm indoors, especially considering the weather we’ve had this winter. It’s also nice to work with and get to know the drivers and supervisors. 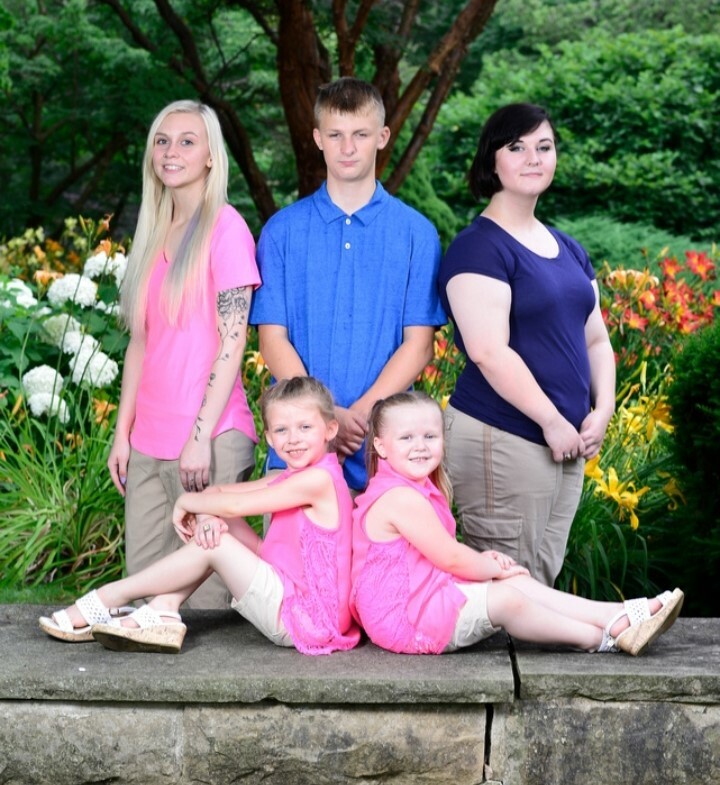 Aaron and Tanya: We’ve been together for 13 years and have five children: Cheyeanne, Shelby, Robbie, Khloe and Abby. It’s crazy, hectic and so much fun. Tanya: Even though we both work full-time, the kids are our priority, and it keeps us super-busy. I volunteer with Girl Scouts for Abby and Khloe, we both help with Boy Scouts and Band for Robbie, and Choir and Color Guard for Shelby. Aaron: We also volunteer our time in the community whenever possible. I run a men’s basketball league at the Church of The Open Door, and Tanya is the President of the Band Boosters organization, and she’s also a Girl Scout troop leader. 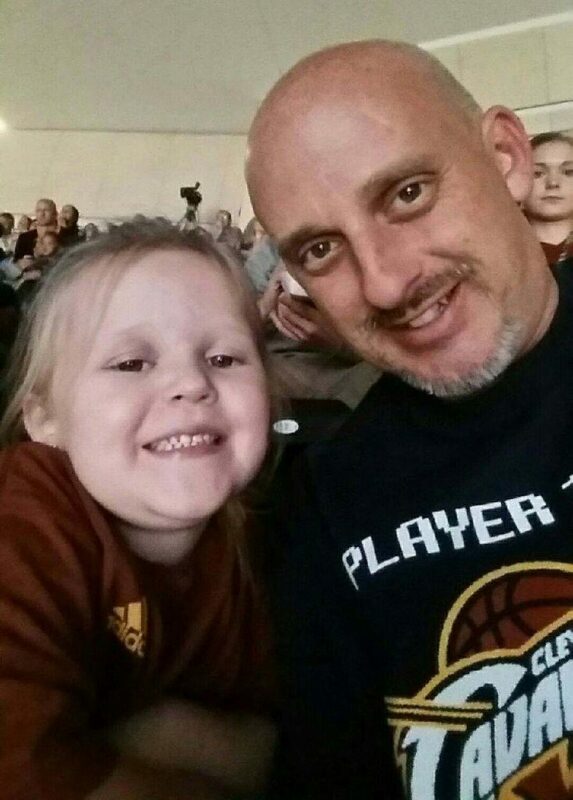 In our spare time, we love concerts, and we’re big Cavs fans. 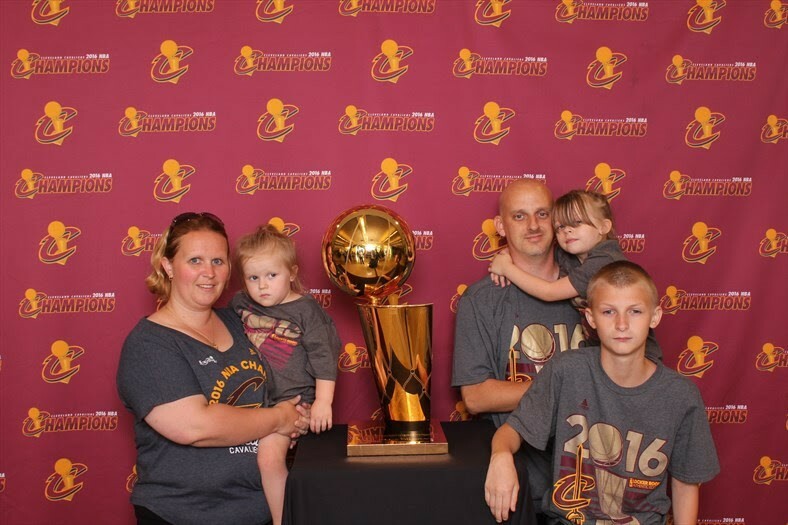 We’re season ticket holders, so between Cavs games and concerts, we spend a lot of time at the Q.
Aaron: My favorite food is pizza. My favorite meal is steak with mushrooms and onions and potatoes. Tanya: My favorite food is chocolate ice cream with all the toppings. I’d say a perch dinner would be my favorite meal. Aaron: My favorite music is country. Tanya: My favorite music is a little of everything. Aaron and I enjoy going to concerts, everything from Kid Rock and Brad Paisley, to Tim McGraw. Tanya: To return to college and finish my degree. Aaron and Tanya: As a couple, our goal is to raise our children to be strong, kind leaders and to never give up.